Our Saturday G/45 Quads continue to grow. 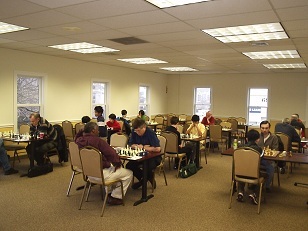 This week we had 18 participants and lots of exciting chess! Quad 1 was won by NM Oliver Chernin, who has been on a roll lately at the CCFC. 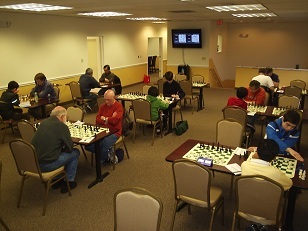 The second section, a swiss, was won by CCFC Director Melvin Patrick with 2.5/3 ahead of Gert Hilhorst and Hubert Herring, who both tied for 2nd. The next section was the most competitive. No two players were separated by more than 50 points. After trading wins amongst each other, it was Zachary Filler and Eric Hilhorst who emerged tied for first with 2/3. Finally, in the fourth section, it was tournament newcomer Andrew Carozza and Kenneth Young who tied for first with 2/3.